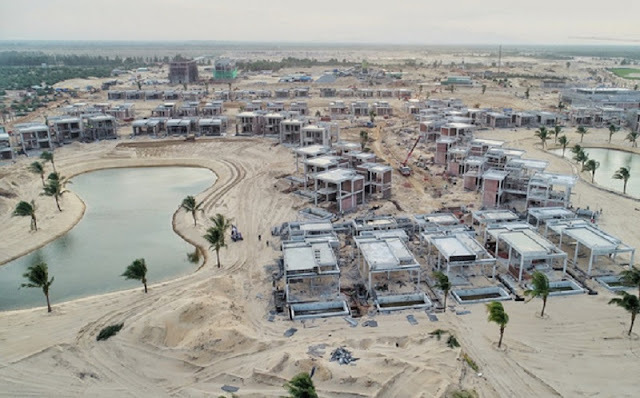 The casino in area of ​​1,538 hectares and an investment capital of up to US $ 4 billion, Hoi An Resort and Casino is located in Duy Hai and Duy Nghia communes. Duy Xuyen) and Binh Duong Commune (Thang Binh District), Quang Nam provide. The project is located near Da Nang International Airport, Hoi An ancient town and My Son sanctuary as well as Cu Lao Cham biosphere reserve. The largest investment project in the province. However, the path of the project has gone through a lot of difficulties. With an initial area of ​​1,538 hectares and an investment capital of up to US $ 4 billion, Hoi An Resort and Casino is located in Duy Hai and Duy Nghia communes. Duy Xuyen) and Binh Duong Commune (Thang Binh District), Quang Nam. VinaCapital and VinaLand join hands with foreign partners such as Genting Berhad Group (Malaysia). In particular, VinaCapital invested 80% of the project capital (nearly $ 3.2 billion), while Genting Berhad invested 20% of the capital. When VinaCapital disbursed nearly $ 50 million to prepare for the project, Getting Berhad unexpectedly withdrew, causing the project to be delayed because VinaCapital had to find a replacement. In mid-2013, VinaCapital introduced to the Peninsula Pacific Group of Companies in the United States. Along with that, the fund proposed to convert some content and ask for permission to narrow the scale of the project from 1,538 hectares to nearly 1,000 hectares, and request the extension of progress to 2035 will complete. However, early in 2014, Chow Tai Fook, a Hong Kong corporation, came to Quang Nam to join VinaCapital to invest in South Hoi An. While Chow Tai Fook has shown great interest and investment promotion, the Peninsula Pacific said it is still in the process of researching its investment in the project. By the end of 2014, VinaCapital has completed negotiations with its foreign partner for the project in Quang Nam but did not disclose its name. In early 2015, Mr. Do Xuan Dien - Head of Management Board of Chu Lai Open Economic Zone - officially confirmed information that Chow Tai Fook Group together with Sun City (Macau) was selected as investor for Nam Hoi An replaced Genting Berhad (Malaysia). 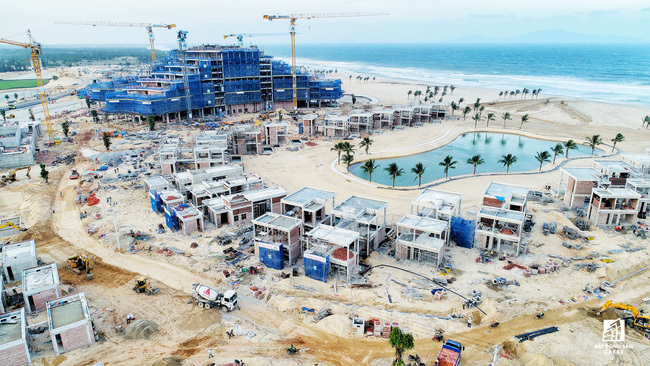 Chow Tai Fook, Sun City and VinaCapital have renamed the project to HOIANA instead of Nam Hoi as before and have officially started the project since April 2016. Earlier, the legal notice said that the project was implemented in 7 phases. 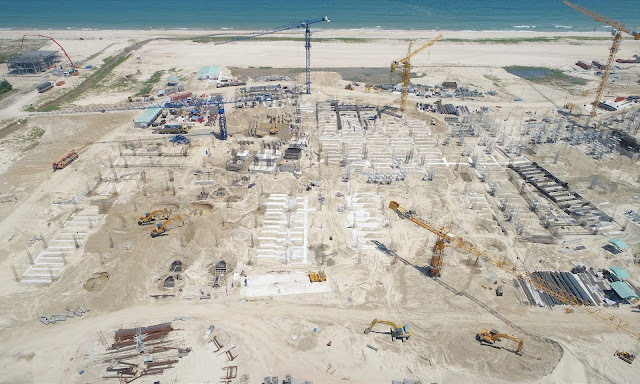 The model of the project is similar to the Ho Tram Strip Project ($ 4.2 billion invested in Ba Ria - Vung Tau), in particular there are games with prizes for foreigners. In addition, the project also has an 18 hole golf course in accordance with international standards, a 1,000-room resort designed in the form of villas or hotels and managed by famous brands. 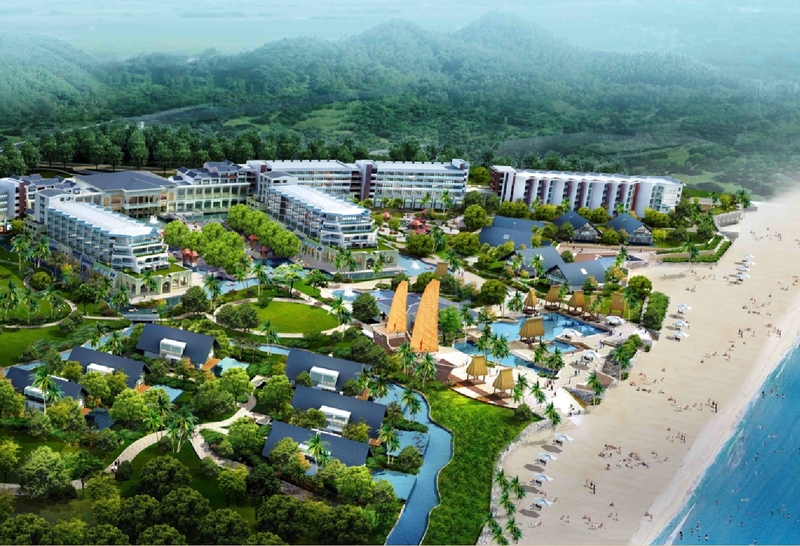 Nam Hoi Resort project is expected to be completed in 2035 and put into operation in early 2019, committed to creating over 2,000 professionally trained workers for the local labor force, significant for the budget of Quang Nam.